KAMPALA, The decision taken by Uganda’s Cabinet on January 28 and publicly announced by the Government of Uganda on January 29, is a very positive step towards improved public financial management and accountability of natural resources, says EU. 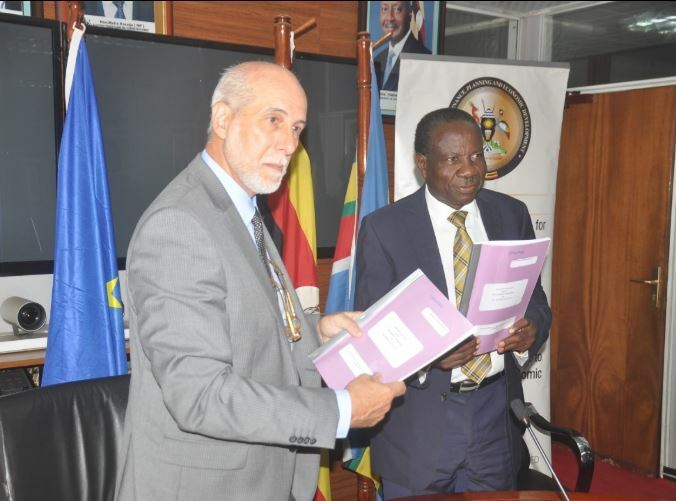 The European Union Delegation to Uganda welcomes the Government of Uganda’s decision to formally join the Extractive Industries Transparency Initiative (EITI) as a member state. The decision taken by Uganda’s Cabinet on January 28 and publicly announced by the Government of Uganda on January 29, is a very positive step towards improved public financial management and accountability of natural resources. “The EITI is the global standard to promote the open and accountable management of oil, gas and mineral resources, and Uganda’s decision to become a fully-fledged member state is an important step for improved accountability, particularly as the country, continues to prepare for oil production,” said EU Ambassador Attilio Pacifici. Implementation of the EITI standard only takes place in EITI countries and happens in three steps; a national multi-stakeholder group (government, companies and civil society) decides how the EITI process in their country should work; key information about the governance of the sector is reported annually alongside recommendations for improving sector governance and finally this information is widely disseminated to inform public debate and recommendations are followed up. The countries also publish key information in excel files, allowing the information to be shared, compared and analysed.